Durham is one of the most famous cities in the North of England. Sitting under the fantastic Cathedral of Blessed Mary the Virgin and St Cuthbert of Durham and the imposing Castle. This tour will take you on a journey around the capital of the land of the Prince Bishops. 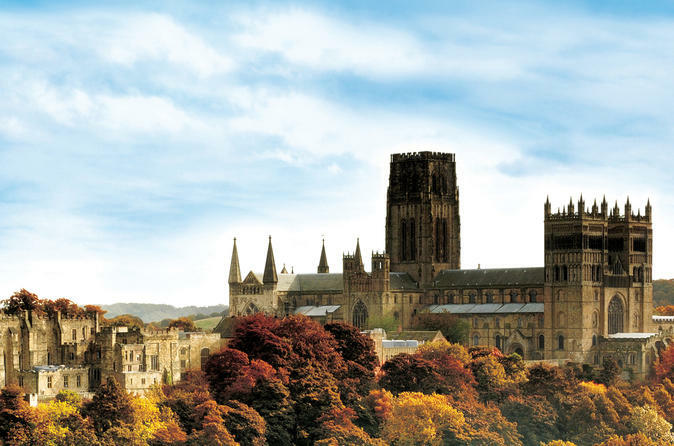 This tour includes entrance to Durham Cathedral and the Open Treasures. This tour is takes half a day to compete. All weather clothing will be required and sensible walking shoes as this tour goes through Durham and the ground underfoot can be uneven. Weather is also changeable in North East England. There will be a lunch break for food and drinks on the tour. The terrain in Durham City and around the Castle and Cathedral can be steep and uneven this tour may be unsuitable for those who are recovering from injuries or do not feel comfortable on longer distance walks. If you have any other questions please do contact us.